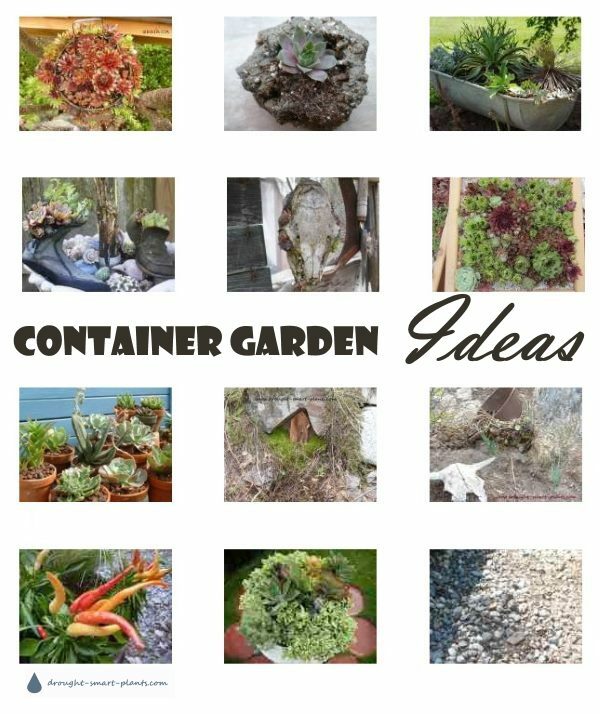 Need some out of the box Container Garden Ideas? 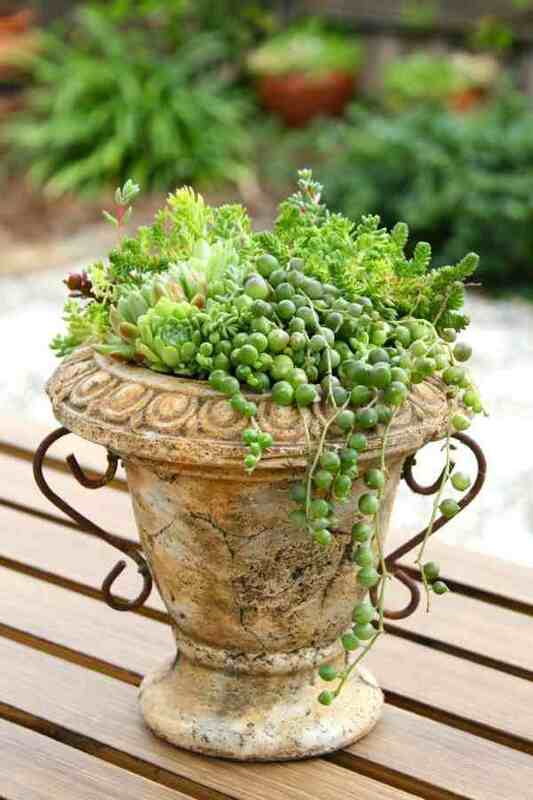 Container gardens are nothing more than a collection of pots, planted with whatever you like. They can be mixed and matched, sleek and collected, for an eclectic group of plants, or a particular purpose. Here are some ideas to get you started. There are no rules with choosing which type of container to use although vegetables prefer a bit more soil. Succulents are happy with almost none. 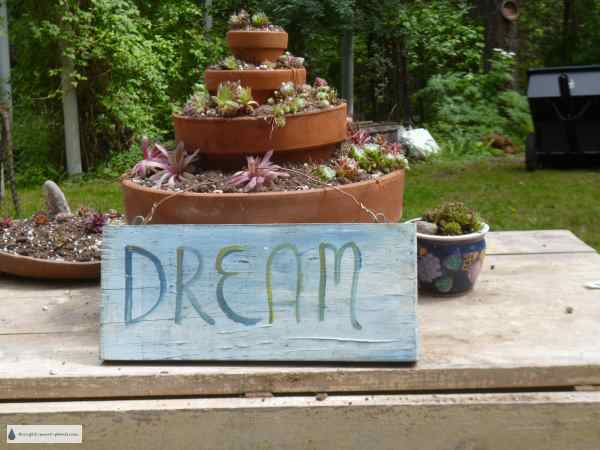 That is just the tip of the iceberg - there is a multitude of other ideas for your container garden around. From wooden boxes custom built to hold vegetables for the kitchen, to unique hypertufa or clay gemlike planters, your style is waiting. Pinterest alone has more possibilities than you'll ever be able to use, like the gorgeous option below. Miniature gardens, or fairy gardens, are something that your inner child will love - or children or grand kids. 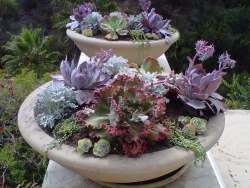 Flat bowls or dishes are perfect for a few little miniature succulents, flat stones for pathways, or other fun fairy furniture. 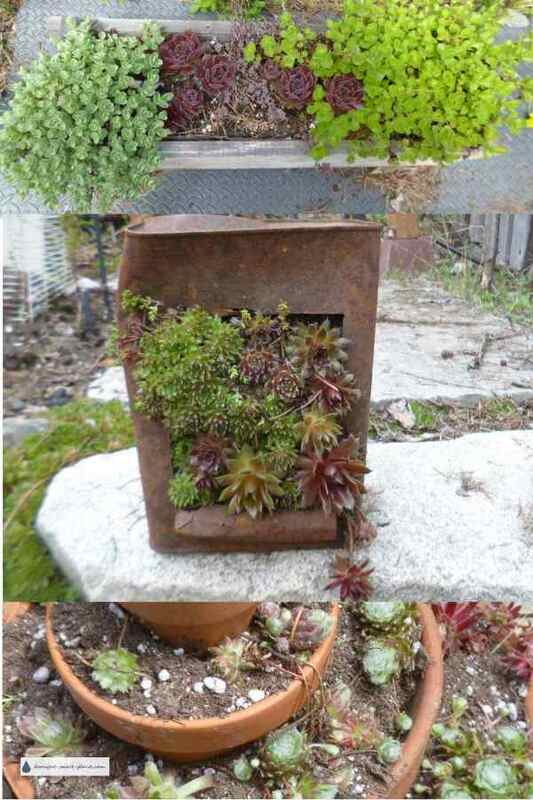 Boxes with funky handles, a twig or something industrial, a tool box, or any other container is perfect for growing things in - my favorite plants, succulents, don't have very deep roots, so anything that holds even a shallow amount of soil is perfect for growing Sempervivum or Sedum in. They even survive over the winter. One of the container gardens that was a lot of fun to make was an olive oil container, which was cut in the front to make a planter similar to a sardine can. I planted it with lots of different small scale Sempervivum which ended up like a tapestry. Using my favorite pots, those made from terracotta clay, and stacking them one inside the other in sequence of size, makes this pyramid planter more substantial - once the roots get established, it's off to be sold.